Doodlecraft: Born in the USA Patriotic Holographic Iron-on Vinyl Shirt! Born in the USA Patriotic Holographic Iron-on Vinyl Shirt! Red, White and Blue for the win! This time of year is so much fun. I love the summer sun and lots of patriotic events. Parades that throw candy are the best! Here's a great shirt for Independence Day celebrations. 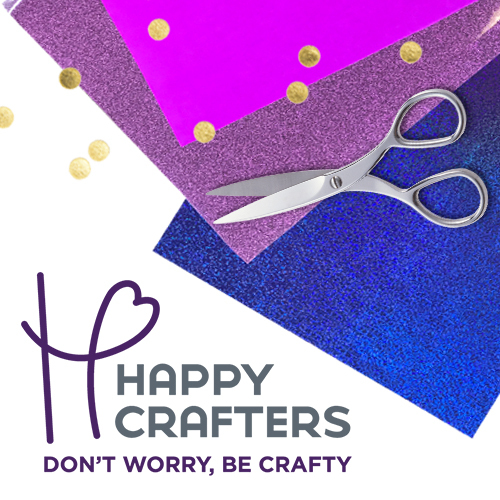 This post is made with supplies from Happy Crafters, and I am an affiliate. They have everything you need for vinyl fun. I especially love the blank apparel and iron on vinyl. I used red and blue holographic vinyl for this shirt. and you will need this sliced file from Cricut. I designed this myself using a Cricut Access image and adding text. Place the vinyl with the colorful side on the mat. Then cut with the image reversed. Set the dial to iron-on plus...then have the machine cut the image twice. Holographic vinyl is a little trickier than I am used to when you start weeding. Place the shirt on the EasyPress mat and heat up the shirt with the EasyPress. Place the holographic vinyl on the shirt. Heat should be set to 330* and press for about 12 seconds. It typically should be 20, but it just needs enough time to adhere to the shirt after removing the plastic...since it will be pressed a second time. Lift and let the vinyl cool, then remove the plastic cover. Then add the blue vinyl on the shirt and press again. EasyPress the shirt for 20 seconds. Turn the shirt over and press the backside for 10 seconds. Then let the shirt and plastic cool. Remove the plastic and the shirt is ready to wear to the parade! Born in the USA! I love the fun negative space and positive space combination. Nothing screams the 4th of July parade more than salt water taffy to me! Check out these patriotic shirts too! Flag shirt with faux Raglan Sleeves!